Welcome to L'ulivo Villiers Street! 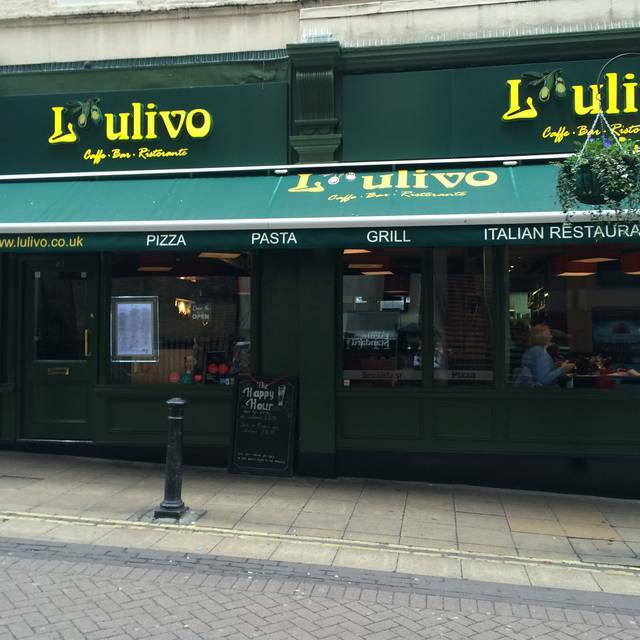 Here at lulivo (pronounced looleevoh) we are passionate about our food and our customers, full stop, that simple. There is no better feeling then delivering a great service and knowing you guys are tucking into a great dish. This is an excellent restaurant with very good food, drink and service. It is particularly useful if you are attending one of the theatres nearby. It is very convenient for Embankment station. Would definitely recommend. The food was delicious,hot served quickly. The waiting staff were polite, helpful and cheerful. Had a lovely date there the other night. Nice and warm atmosphere and the staff is wonderful. The food is amazing and very reasonably priced. Will be back definitely! We'd heard good things from a friend, but for us it was poor. Pizzas were average with skimpy toppings. Burger was overcooked with plastic mozzarella. Good friendly service and lively pre-theatre atmosphere. I had previously been to this restaurant and it was very good, hence our return visit. Our table was fine but i immediately felt very pressured to order as well as buy the more expensive wines! It all felt rushed and the waiter tried to add on the highest level of tip without checking with me first. Overall we will not be returning as it has got far too commercialised and they are trying to rush as many covers through as possible in the least time. On a positive note, the food is ok but not great as it had been previously. 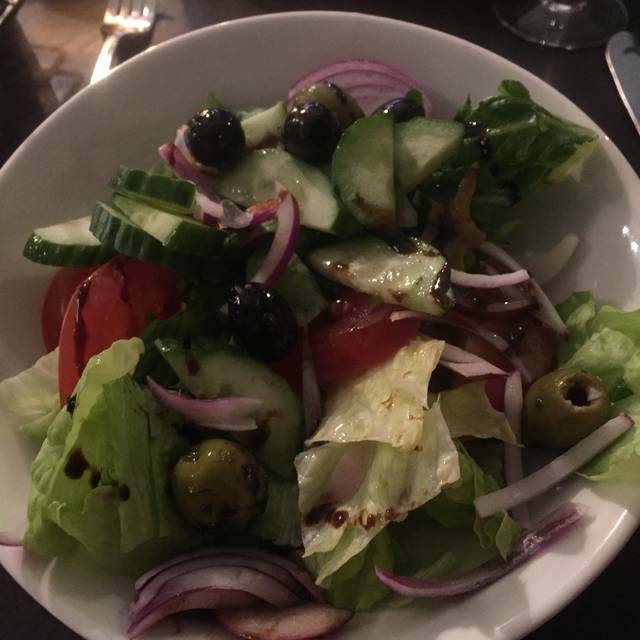 Nice location near to theatre, service was fast, was looking forward to the calamari starter which they had run out of, it was only 6-30pm so a lot of people will of been disappointed that evening. Pasta dish was fine and so was salad dish. Burger was disappointing, all salad and tomato and couldn’t taste burger & chips was frozen shop bought rubbish. All in all had a nice evening but won’t be returning as not value for money. Oh and wine was £8 a glass! A really charming restaurant down a side street with big windows to look out and watch the passing parade. Management and staff are friendly and on the ball. No-one has an attitude. Food is really good and the wine list, though small, has some excellent wines. There are thousands of places to eat in London but we have eaten here 3 times in 4 days! Do yourself a favour and book a table now, you won’t regret it. 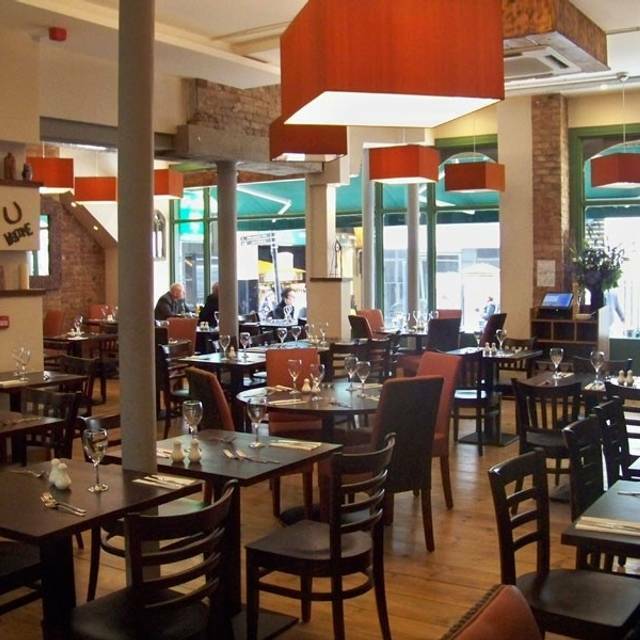 Good quality, honest Italian food, good portions, handy location. Can be really noisy & busy over dinner service. Still a good option in Charing Cross. We chose this restaurant for pre-theatre dinner. 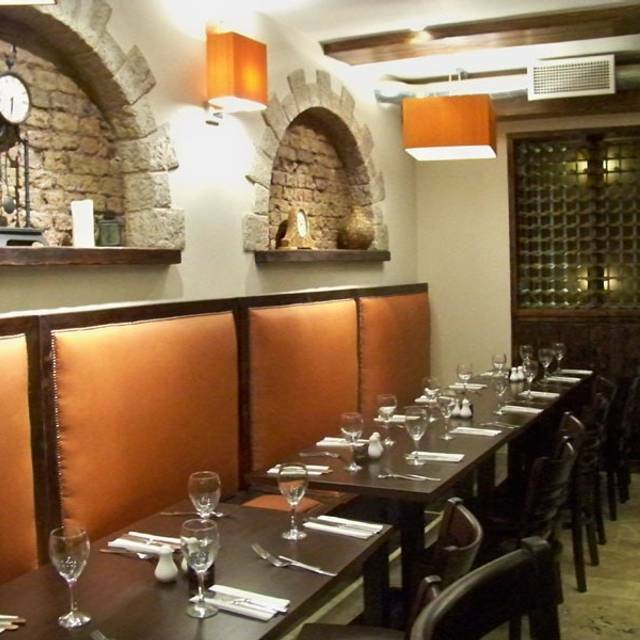 Everything about the place was great, fantastic Italian food and wine, staff very pleasant and ambience was perfect. Would recommend booking as restaurant was very busy. Will definitely go back. This is a family run business that I feel needs a little updating. I appreciate this restaurant is busy but having told two waitress that we would like a drink first then decide what to eat , we were hassled until we did just that. In this day and age not to serve low sugar drinks ie slimline tonic is unbelievable and when asked why not the waitress jus laughed at us. 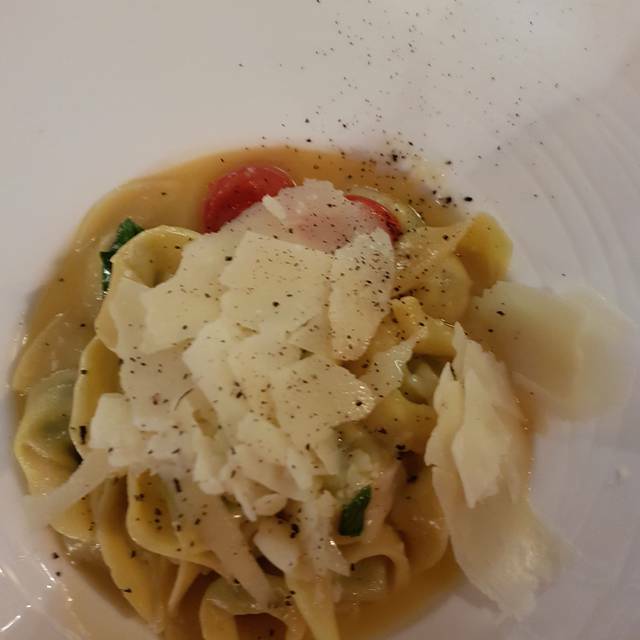 We had vegetarian camalloni aneamic as it was served and just warm in the centre of this dish , a basic margarita pizza , a gin & tonic , glass of red wine and a coffee. With a 10% tip the bill came to £55 which I thought was on the expensive side as nothing was special or difficult. 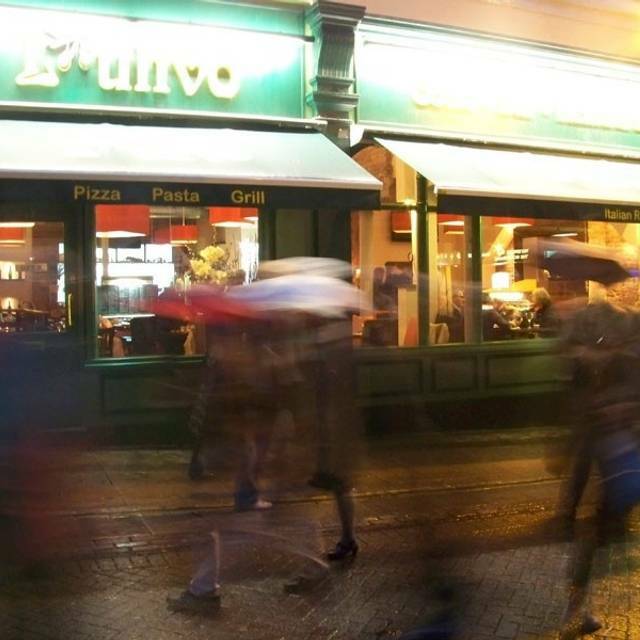 L'ulivo is a excellent restaurant that consistently delivers very tasty food quickly and in a lovely setting. We have been to this restaurant a lot of times and have never been disappointed. 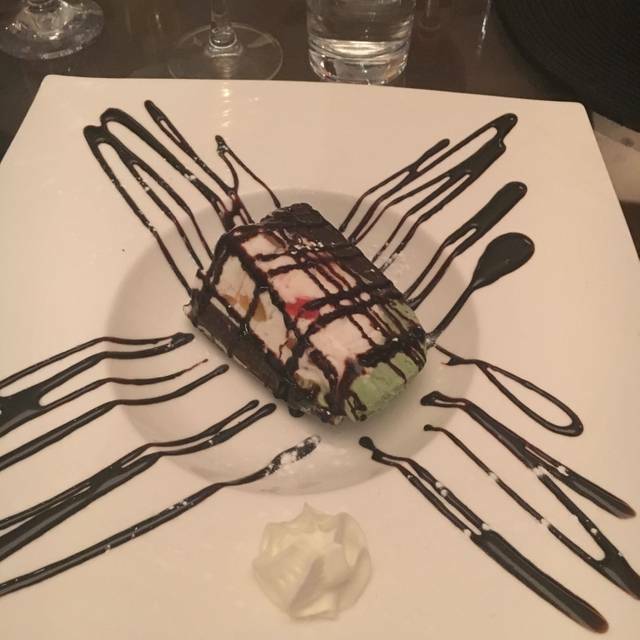 The service is excellent, the restaurant has a lovely ambience (nice lighting/candles) and the food is extremely well cooked and prepared. We will definitely book again. I love this restaurant but during my last visit I ordered a starter and the waitress brought the wrong item. I said that I didn't order it but she inisted that I did. She wouldn't take it back so I accepted it just to keep the peace. I think your staff need training to address situations like this more appropriately. Loud and not at all relaxing - improved when it emptied out a bit. Food OK, (great soup! ), but few veggie choices and all very heavy, except salad and I don't want salad on a cold night. The people next to us (a mother, son and daughter - we knew bease they were shouting) got very drunk and the man was verbally abusing his mother who seemed to be on the point of collapse due to how much she'd drunk. The man was foul mouthed and very, very loud. It would have been nice if staff had reminded him that there were other customers. A very unpleasant experience. Thoroughly enjoyed our meal, lovely food at a reasonable price. Good food but poor service. When we arrived we were greeted with a look of shock horror when I said we had a reservation. It was busy but after only a short wait we were seated so not sure what the problem was. The same waitress took our order (eventually) without a smile. Quite unpleasant. One of our starters was delivered to a different table by mistake. The food we did get was very good with generous portions. 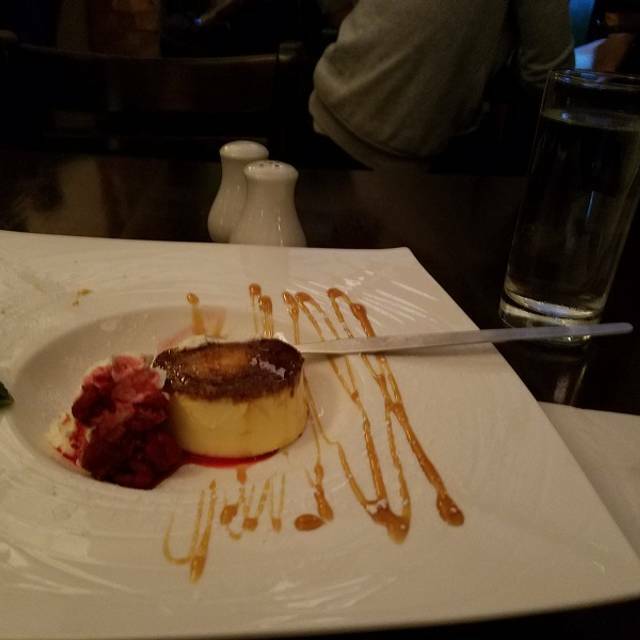 A very pleasant waitress took the dessert order, so the evening ended on a high. Had two meals in two days here. Great calves liver and fabulous risotto from the chef’s special menu. Service was very good. An all round really good experience. We will be back. Great buzzy atmosphere, but staff were overstretched and it took several minutes to get their attention each time we wanted something (an extra napkin, to order drinks, to order food etc). Food was dated (thick gravy on calves liver like we were in the 1970s) and disappointing. restaurant without the chocolate on top and tasting of hot milk rather than coffee! 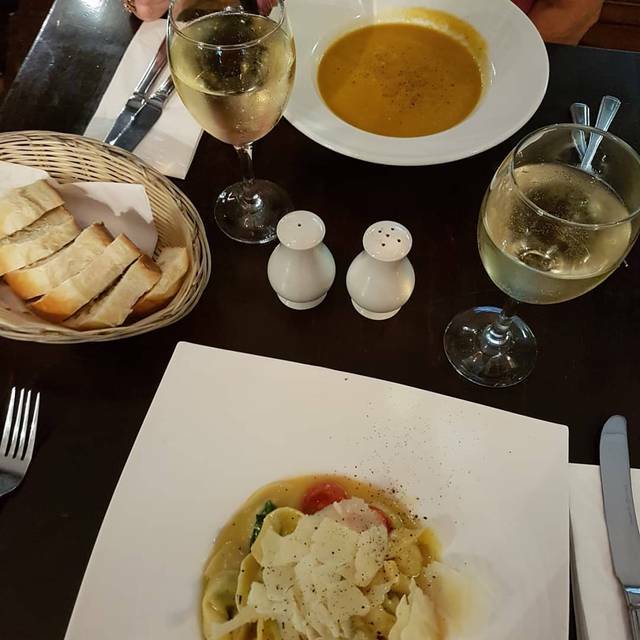 Lovely lunch- don’t forget to ask for the lunch menu as it has some lovely dishes. Waitress not the friendliest in the world but the food quality and atmosphere made up for her shortcomings. Always a good time to be had at l"ulivo. I'm glad I don't go there too often as is wouldn't be a treat. Everyone was very welcoming and attentive. Total teamwork. Compliments to the chef for the nightly specials. I went 2 nights in a row, and had the fish one night and traditional pasta the next. I wish I could get his vegetable soup recipe. I would eat it for all 3 meals. They made an error in my order, and I chose to accept it. I was compensated. Now I need to return during my next business trip so I can really have the clam sauce. Great place to meet friends as it’s so near to Embankment tube and good for pre or after theatre. We’ve eaten here numerous times and love it. Food is fabulous. This place was great for a quick valentines meal before a theatre show. Nice ambiance and quick service. Unfortunately, my pasta was in a pool of oil and it seemed as though it had been scooped out of a big pot. It tasted alright. The tiramisu afterwards was played nicely and tasted fine as well. Food was good and quick. Service perfectly satisfactory. Liked the music playing. Good idea to book as gets pretty busy. Need more choice of wines by the glass, but limited. Brought the wrong dish but offered to change it immediately. Pleasant staff. We were very early for our table but they did not mind. Starter of bruschetta was superb, Partner had the prawns which was a bit bland. Pepperoni pizza for main was lovely but the Caesar Salad wasn't great as the croutons tasted a bit stale. Quite a busy place, but despite that service and delivery of food was in adequate time. Food portions were generous and very lovely. I like the open kitchen, so you cam watch them cook. Great for pre/post theatre dining. Can be a bit slow sometimes with service and getting the bill. Staff seem to change quite quickly so it sometimes seems they are always learning the ropes. Orders not always correct as they don't write anything down! This is the Villers Streeet branch. Other than that really good value for money. Thank you.